Establishing profitable relationships for both parts will be a win-win situation, this means that if you help someone you will be very likely helped as well. Above anything else, for this relationships to work, they need to be genuine, so whatever you do you need to be very personal and truthful. One of the strategies that I found to be very effective when networking is to comment on other blogs. Whenever I read someone´s article that I like and I think is very good, I tend to drop a comment. This way, somehow you introduce yourself to that person and you get a chance to get notice. Most of the blogs nowadays give you the chance to to leave a comment being logged in to a Social Network, therefore your profile picture will be shown next to your comment. This is quite useful to get noticed. You can even do some link building if there is enough relevance. I had notice that leaving a relevant comment with related links bring a lot of feedback and visits to my blog. 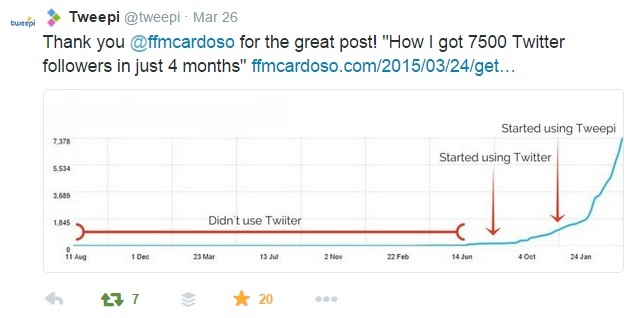 Jorge and I exchanged a few comments on my post How I got 7500 Twitter followers in just 4 months, and this was a good way to establish a closer relationship. In fact Jorge, besides having a great blog is also someone that drops a lot of positive feedback on his comments on other blogs. It´s a great strategy! Mention someone on your blog posts, like I just did on the previous lines, it´s a great way to get noticed and build relationships. Use links to other posts and blogs and let them know you did it. This is a perfect win-win strategy. First, you add more value to you your post by supporting it with content from others and secondly you are also helping someone else to get more visibility and visits to their post. If you let them know you did it, you have a good chance of being mentioned or start a conversation. 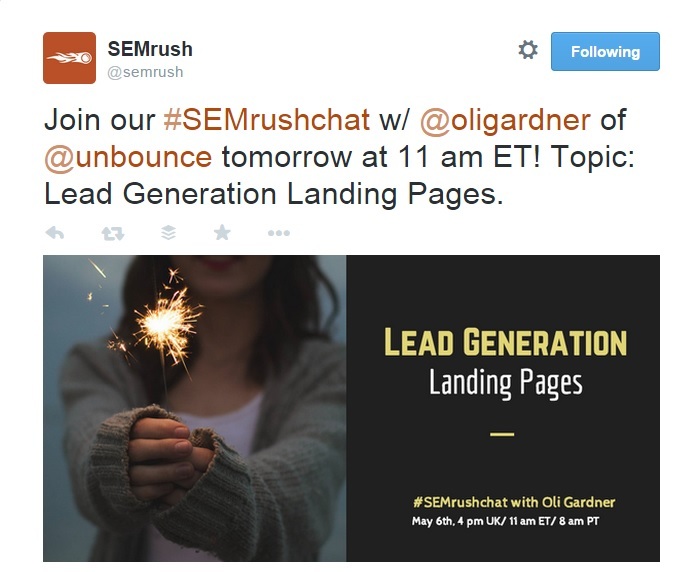 This worked very well with me, when I mentioned SEMrush on my post about brands doing an amazing content marketing and let them know via Twitter. I got noticed and engaged in a lot of talks that led me to be invited to write for their blog as a Guest Blogger. Twitter is my favourite social network, it´s the one I use the most and the one where I get more results from. What I like the most is the fact that you can engage easily with anyone there. Always make sure that you mention people when you are sharing their post, this way you have good chances of engage on a conversation with that person and get noticed. If you follow someone on Twitter, and if that profile is interesting for you, make sure you drop a line ask something or simply complement that person. 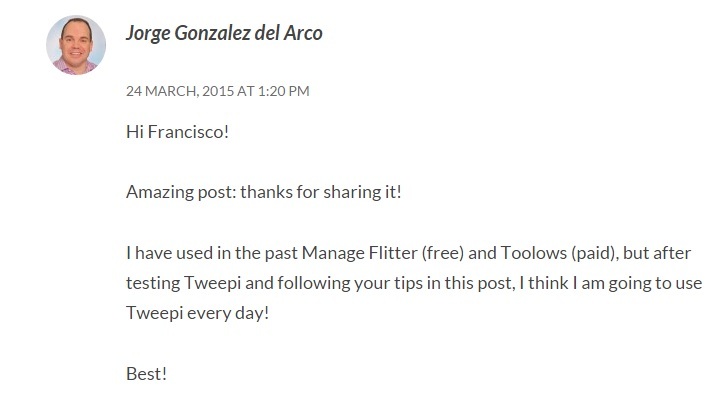 Other thing that I found very useful is to let people that you mention on your blog post know about it via Twitter. For instance that´s how Tweepi tweeted my post on their official account. LinkedIn is a very powerful paltform for networking. But I notice that most of the people are rather passive on Linkedin, and only a few really use it on a very active way. A good way to get noticed is to use the new feature of publishing (becoming available to everyone progressively). When you publish something, your contacts get a notification on their profile. However, if you don´t have a blog and you don´t want to publish an article you should post regularly relevant content within your field of business. 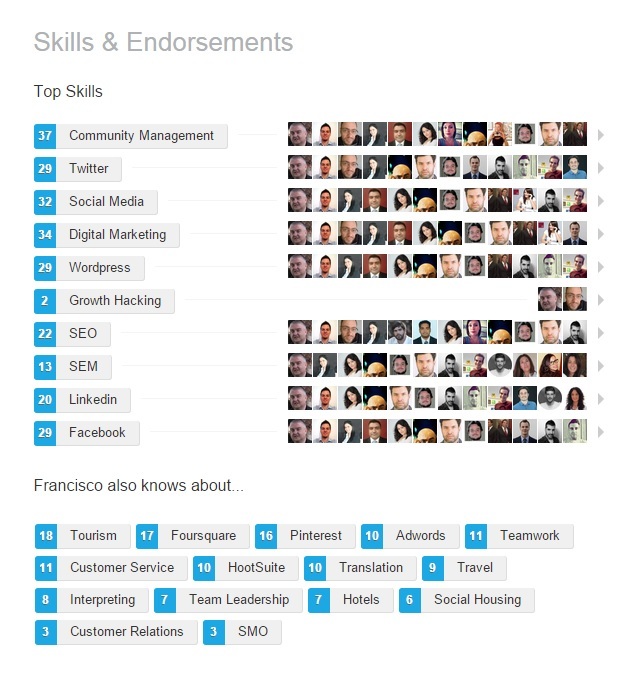 Other good way to get noticed on LinkedIn is to recommend someone that you know or endorse on their skills. I tend to do it often to people that I have worked with or know personally but also with people that I know virtually, but feel capable to endorse some of their skills. Medium is a great platform to get known. Created by the Twitter founders, this rather new platform is a getting a lot of growth and visibility and you should start building a network here. Since it´s rather new and it´s still growing, there are not many people commenting on blog posts, therefore you have some space to get noticed and get visibility to your profile and/or blog. This means, that very likely the authors will reply to your comment and engage a conversation with you. 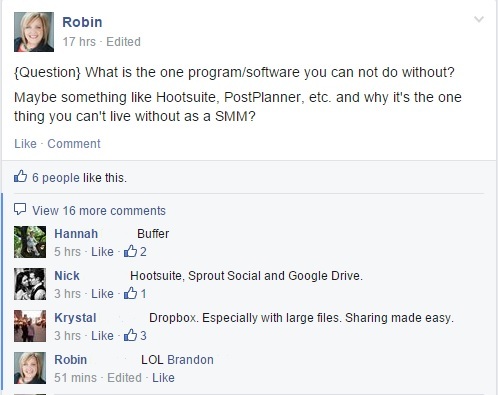 An example of a reply from one of my comments from the founder of Crowdfire. If you already have a group of professionals from the same business as yours that you can trust and have a relationship with explore the possibility of opening and manage a secret group on Facebook. Why is this good? Because you can share private tips and advices amongst each other, and help each other out with things that you don´t want to share with everyone. I am on a few groups with people from my network and I found it one of the most useful things. Try to participate as much as you can on groups and communities both on Facebook and Google +. This is a good way to meet new people and to get yourself known amongst your community. However, I strongly advice to participate to really help and post relevant information. If you are thinking to just do a link drop, that is not recommendable as you can input a spammer image to yourself. Make sure you get evolved on conversations and add valuable input not only by replying but also by asking questions as the example below taken from a Social Media Group on Facebook. The ultimate networking is to write for other blogs or invite others to write on your blog. Some people are divided when it comes to Guest Blogging, I personally feel that is a great way to get more visibility and tight your relationships with others. I haven´t got any guests on my blog yet, but it´s something that I am working on. Although, I have been invited to write on a few blogs and always with great results on many levels. I never refuse an invitation and I feel it´s a really good strategy of networking. An example of great guest blogging is to invite a bunch of bloggers to participate on a blog post like this example that I had the honour to participate on the blog claudioinacio.com. Twitter chats are also a great way for networking, if you the chance of meeting new people and being able to help and being helped in a very interactive way. Just interact with other users when you have something to add to the conversation and you will get a lot of engagement. Here´s a website where you can find the list of chats happening every day. One of the things that you need to bear in mind is that any comment or post that you write stays online forever so refrain yourself to be negative. Even if you don´t agree with something try to comment in a positive way. Remember that others may see your comments and get a bad impression about you and this can damage quite badly your image and destroy relationships. Make sure that alongside with your blog, your job hunt, your online presence or work on your personal brand that you save some time for networking. We have seen here a few examples that by just spending a few minutes per day can have a huge impact on future life. Networking is fundamental in any business or field of activity so use it as much as you can, make sure you help others and have a positive attitude towards the ones that are around you. I would like to know how you network? 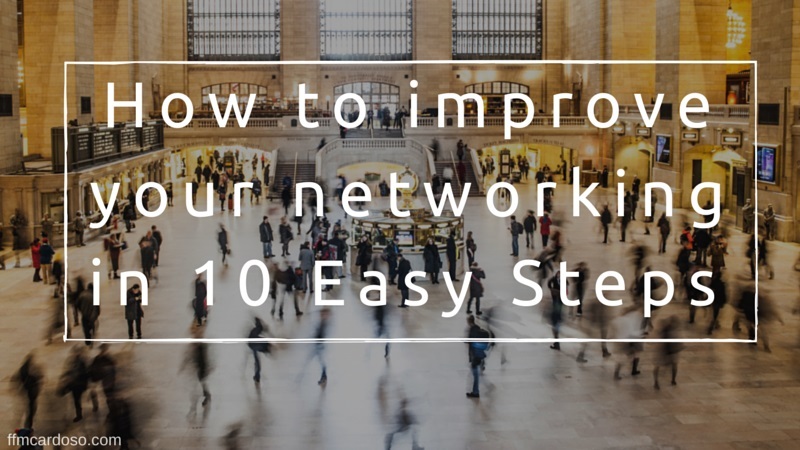 Can you give me any other example of a powerful networking strategy? What did you think about these ones? Share your thoughts and thanks for reading. You are so right in this post! I have not tried 5 & 6, but they seem great ways of improving our networking! I hope to see you in Madrid June 11th during the “Inbound Marketing Made in Madrid” event! ¡Hola Francisco, enhorabuena por este gran post! Me parece muy buena tu nueva estrategia de contar como consigues conectar con otros profesionales, es contenido de valor para tu blog y para tus seguidores 😉 Yo como fan tuyo, voy aplicar algunos de estas estrategias pues me parecen muy interesantes! Muchas gracias por la mención a mi post, es siempre un honor para mi estar presente en tus artliculos. ¡Un saludo y a continuar con este buen ritmo! Hola Claudido! Muchas gracias por pasar por aqui y comentar.